Dan Haden, lead outside machinist at AEDC, helps prep the Rolls-Royce Trent 7000 engine for testing in the C-2 engine test cell. The Trent 7000, the Rolls-Royce engine to be used in the new Airbuss A33neo, was recently tested at Arnold Engineering Development Complex, Arnold Air Force Base, Tenn.
Jit Sahota, engine management engineer for Rolls-Royce Trent 1000 and 7000 projects, said testing at AEDC was conducted to affirm the combined capabilities that Roll-Royce was striving for in this engine and it was achieved. 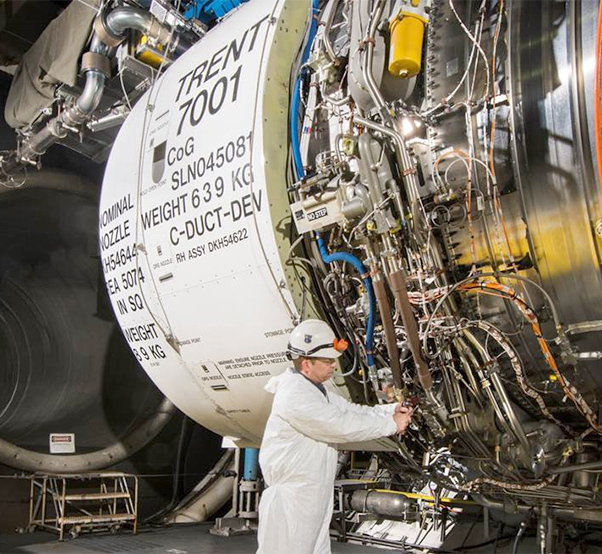 “The Trent 7000 brings together experience from the Trent 700, the engine of choice for the current A330, as well as architecture from the Trent 1000-TEN, the latest version of the Trent 1000 engine, and the latest technology from the Trent XWB, the world’s most efficient large civil engine,” he said. Sahota added the 68,000 to 72,000-pound thrust Trent 7000 will deliver a steep change in performance and economics compared to the current version of the Trent 700. “It will improve specific fuel consumption by 10 percent, have twice the bypass ratio and will cut noise emissions by half,” he said. The L71/1, the first Trent 7000 engine to be built, was brought to AEDC for testing in December 2015. 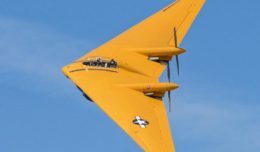 “Both AEDC and Rolls-Royce teams worked extremely hard and long hours to get the engine pinned and ready for test,” he said. The engine completed four air-on days to carry out icing, operability, relighting, starting and performance testing. Melissa Tate, AEDC test manager with the Aeropropulsion Ground Test Branch, also noted that AEDC has a long working relationship with Rolls-Royce.